B. Thomas (Arlington, Texas, United States) on 29 November 2016 in Animal & Insect. Rocky has moved on from football to baseball. He is a huge Texas Rangers fan. ha ha ha !! What a great fan here !!!! 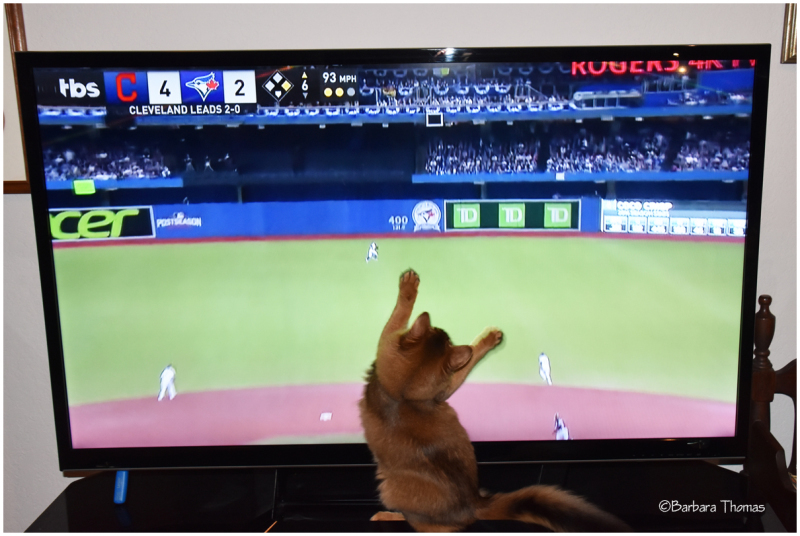 Was he as upset as I that the Blue Jays were getting hammered? Excellent shot! You captured Kitty at the perfect moment. :) Awesome! Ha ha, what a guy! The guy is clearly interested in sports. Perhaps he would like to participate in the game itself. A nice picture ,Leevi considers animal programs, especially when the cats meow or dogs barking :-)))) Haleja. Happy day a good my friend. Ha Ha Happy Silly Tuesday to you to Barbara.